There were three huge influences in my life that made me want to become a scientist. The first was David A. Johnston, an American USGS volcanologist who died on May 18th, 1980, the day of the catastrophic eruption of Mount St. Helens in Washington state. He was the first to report the eruption, exclaiming “Vancouver! Vancouver! This is it!” moments before he died in the lateral blast of the volcano. I felt inspired by his words. He knew at that moment that he was going to die — but he was excited for the science, for what he had so tediously studied and predicted had become reality. He died studying what he loved. If we could all be so lucky. The second inspiration was actually a melding of my childhood hobbies. I loved to build things out of plastic and cardboard blocks. I loved crafting structures out of nothing more than rolled up paper and Scotch tape — at first, I thought I wanted to be an architect. But a few years later I found another hobby. Writing. I spent my time writing fictional short stories and selling them to my parents for a quarter. I guess I also found that entrepreneurial gene quite young. For a few years after, I felt sure that I was going to be an author when I grew up. My final inspiration was Jurassic Park. Yes. Laugh if you want. But the dichotomy of scientists between Alan Grant and Ian Malcolm was incredibly inspiring to me at a young age. On one hand, you had the down-to-earth, get-your-hands-dirty demeanor of Alan Grant. And on the other you had the brilliant mathematician (err, excuse me, chaotician) rock star. They represented two breeds of scientists. And I felt sure that I was going to end up like one of them. Fast forward through my childhood years to present day. I am indeed a scientist, inspired by David Johnston. I’m also an architect of sorts. Instead of building with physical objects, I create complex computer systems in a virtual world. And I also managed to work in the author aspect as well. I’ve authored two books, Practical Python and OpenCV + Case Studies (three books actually, if you count my dissertation), numerous papers, and a bunch of technical reports. But the real question is, which Jurassic Park scientist am I like? The down to earth Alan Grant? The sarcastic, yet realist, Ian Malcom? Or maybe it’s neither. I could be Dennis Nedry, just waiting to die blind, nauseous, and soaking wet at the razor sharp teeth of a Dilophosaurus. Anyway, while I ponder this existential crisis I’ll show you how to access the individual segmentations using superpixel algorithms in scikit-image…with Jurassic Park example images, of course. A couple months ago I wrote an article about segmentation and using the Simple Linear Iterative Clustering algorithm implemented in the scikit-image library. While I’m not going to re-iterate the entire post here, the benefits of using superpixel segmentation algorithms include computational efficiency, perceptual meaningfulness, oversegmentation, and graphs over superpixels. For a more detailed review of superpixel algorithms and their benefits, be sure to read this article. Figure 1: Applying SLIC to find superpixel segmentations and then marking the segment boundaries. Notice how local regions with similar color and texture distributions are part of the same superpixel group. But how do we access each individual superpixel segmentation? Lines 1-8 handle importing the packages we’ll need. We’ll be utilizing scikit-image heavily here, especially for the SLIC implementation. We’ll also be using mark_boundaries , a convenience function that lets us easily visualize the boundaries of the segmentations. From there, we import matplotlib for plotting, NumPy for numerical processing, argparse for parsing command line arguments, and cv2 for our OpenCV bindings. Next up, let’s go ahead and parse our command line arguments on Lines 10-13. We’ll need only a single switch --image , which is the path to where our image resides on disk. We start by loading our image on disk on Line 17. The actual superpixel segmentation takes place on Line 18 by making a call to the slic function. The first argument to this function is our image, represented as a floating point data type rather than the default 8-bit unsigned integer that OpenCV uses. The second argument is the (approximate) number of segmentations we want from slic . And the final parameter is sigma , which is the size of the Gaussian kernel applied prior to the segmentation. Now that we have our segmentations, we display them on Lines 20-25 using matplotlib . If you were to execute this code as is, your results would look something like Figure 1 above. Notice how slic has been applied to construct superpixels in our image. And we can clearly see the “boundaries” of each of these superpixels. You see, the slic function returns a 2D NumPy array segments with the same width and height as the original image. Furthermore, each segment is represented by a unique integer, meaning that pixels belonging to a particular segmentation will all have the same value in the segments array. To demonstrate this, let’s start looping over the unique segments values on Line 28. From there, we construct a mask on Lines 31 and 32. This mask has the same width and height a the original image and has a default value of 0 (black). However, Line 32 does some pretty important work for us. By stating segments == segVal we find all the indexes, or (x, y) coordinates, in the segments list that have the current segment ID, or segVal . We then pass this list of indexes into the mask and set all these indexes to value of 255 (white). We can then see the results of our work on Lines 35-37 where we display our mask and the mask applied to our image. 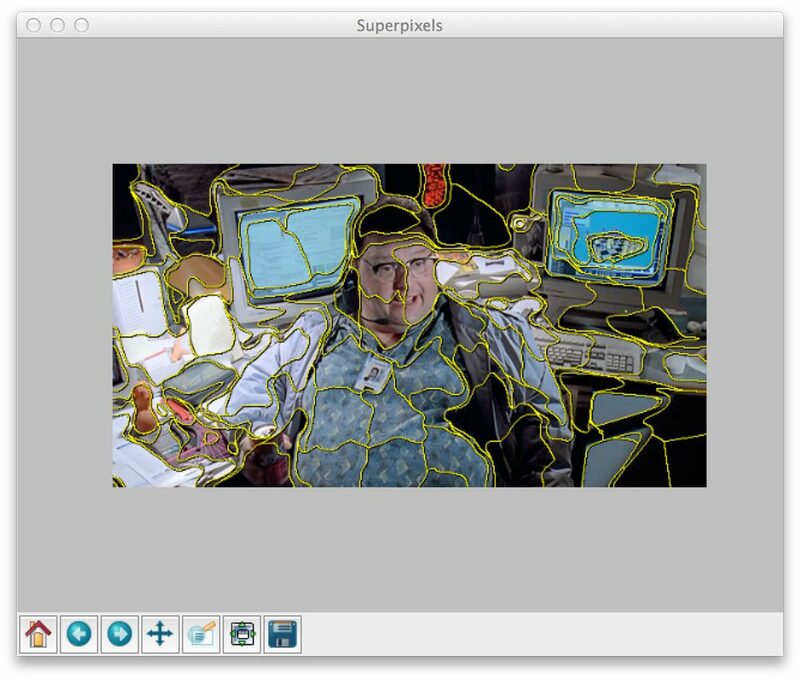 Figure 2: Exploring a “face” segment of Dennis Nedry using superpixel segmentation. Figure 3: Jurassic Park trivia time. Do you know who the person is in that picture frame? Bonus points to the first correct answer in the comments! Figure 4: Applying superpixel segmentation and exploring the shirt and ID badge segment. Nothing to it, right? Now you know how easy it is to access individual superpixel segments using Python, SLIC, and scikit-image. In this blog post I showed you how to utilize the Simple Linear Iterative Clustering (SLIC) algorithm to perform superpixel segmentation. From there, I provided code that allows you to access each individual segmentation produced by the algorithm. So now that you have each of these segmentations, what do you do? Anyway, I hope you enjoyed this article! This certainly won’t be the last time we discuss superpixel segmentations. And if you’re interested in downloading the code to this blog post, just enter your email address in the form below and I’ll email you the code and example images. And I’ll also be sure to notify you when new awesome PyImageSearch content is released! I was featured on the Hanselminutes podcast: Computer vision and the impact it has on our daily lives. Interesting and well-written article, as usual. But I have to wonder how useful that segmentation is. It seems to have a lot of random oversegmentation. How would you go about merging segments so that you have something meaningful like shirt, computer screen, face, … to work with? Hi Bruce, thanks for the comment! Actually, oversegmentation can be a good thing. I would definitely read my previous post on superpixel segmentations, specifically the “Benefits of Superpixels” section. I think it will definitely help clear up any reasons on why using superpixels can be beneficial. If you would like to construct a graph, I would abstract that to a library like igraph or NetworkX. The graph-tool package has also been getting a ton of attention lately since it’s so fast. In the future I will try to do a post where we use the super pixels to construct a graph. I’m new to computer vision, and your posts / book have really softened the learning curve for me. Thanks for doing what you do, and doing it well. 2) get a similar output with a different segmentation algorithm? Hi Sawyer, great questions, thanks for asking. If you are looking for continuous segments you’ll need to change the enforce_connectivity parameter of the slic function to enforce_connectivity=True (it is False by default). You can read more about the parameters here. I would also go through the documentation on that page to read up on other segmentation algorithms you can utilize within scikit-image. secondly, I have noticed that in figure 2, the individual superpixel ” the face part segmentation” which not only contain the real face part but also contain the desk part ? which I can not very understand why? I think maybe the seed for the superpixel is near the edge of face and the superpixel search area include the desk part , could you please explain that to me? because I think this is the only reason why this superpixel contain the desk part and the left part face,while the right part face included in the neighbor superpixel . thirdly, a further question , the superpixel segmentation like above figure 2 is not good for later process like face detection or head detection or object detection, could you give me some suggestion on how to deal with the superpixel like that kind. maybe i should try the similarity of the pixels in this superpixel to exclude the pixels that should not actually included in this superpixel ,but this computation will be very heavy, will you give me another suggestion? Hi Jillian, for more information on how SLIC performs the segmentation I would suggest taking a look at the SLIC paper. As you can see from their paper, the goal is not to create perfect semantic superpixels, but to quickly divide the image into regions that can be used as building blocks for other algorithms — this does not mean that the regions are perfect. If you are trying to exclude pixels from a given superpixel, then yes, you will likely have to compute some sort of similarity metric. Thanks for the amazing post! But say I wanted to extract out the shirt part alone from the superpixalated image, what direction should I be taking from here? Hey Job, there would be multiple ways to solve this problem. If you know what the shirt texture/color looks like, then you can simply loop over the super pixels, compare them to the color/pattern, and extract if necessary. Otherwise, if the shirt is entirely unknown, superpixels probably aren’t the best way to solve this problem. Instead, you’ll need to utilize machine learning to “train” a classifier to recognize shirts in images. Something like HOG + Linear SVM would be super helpful here. Thanks a lot, Adrian! My efforts are on a dataset where I don’t know the color/pattern. Just wanted to know if there was a possibility using superpixels. Thanks for pointing me in the right direction. Cheers! Hey Adrain! thanks for your useful blog, that was help me very much in my students PHD! and I want to loop over the super pixels to extract same feature! but i can’t find instruction for that without using the mask ! please can you give me help ! 1. Loop over each superpixel and extract its contour. 2. Compute bounding box of contour. 3. Extract the rectangular ROI. 4. Pass that into your descriptor to obtain your feature vector. Many image descriptors (such as HOG, for example) assume a rectangular ROI. A good way to obtain this is to simply extract the bounding box of the superpixel. Thank you for fast answer! I want to extract LBP and Histogram HSV! I tried to algortithm your instructions and see if it works! If you’re extracting a HSV histogram, then you can use the cv2.calcHist method and supply the mask for the superpixel. For LBP, you can either use the mask (along with some NumPy masked array magic) or you can simply compute the LBP for the bounding box of the superpixel. Both are acceptable methods of extracting features from a superpixel. You suggested to calculate the bounding box of the superpixel to extract HOG features. But, by using the bounding box it wouldn’t calculate some noisy features because the bounding box of the superpixel would be overlapping other superpixels? Do you have any suggestions on how to extract a texture (and colour) features from each superpixel? The purpose is to obtain coherent texture-colour regions, each with a descriptor. Is it perhaps better to do extract the texture features (HOG or GLCM features) from the unsegmented image, and then create superpixels through a k-means clustering of the features? The representative feature for each superpixel is then the mean of it’s member pixels. This seems a bit like overkill. I’m new to computer vision, so pardon me if I said anything silly. Hey Andrea, I would suggest running superpixel segmentation first and then computing your texture features across each superpixel. If you are computing the GLCM, I would also suggest using Haralick texture features. Local Binary Patterns over each superpixel would also be a great route to go. Another route you could explore is extracting a “bag-of-visual-words” (sometimes called “textons” in the context of texture) from each image. This approach is involves extracting texture features from superpixels in each image; clustering them using k-means; and then quantizing the texture feature vectors from each image into the closest centroid to form a histogram. I haven’t had a chance to cover this on the PyImageSearch blog, but I will be doing it soon. Hi Adrian! I have went through your blogs since three years ago. I had implemented face detection, recognition in my final year project and it went very well! As of now, I’m really interested to know more about this superpixels thing. And I’m very glad if you could please show us how to utilize bag-of-visual-words with well known classifiers such as SVM and CRC. Thanks! As for the bag-of-visual-words model, SVM, classification, and CBIR, I have 30+ lessons on those techniques inside the PyImageSearch Gurus course. Be sure to take a look! Oh, I am about the learn on what we can do with the superpixel. I mean, in object recognition, can I compute each of the superpixel according to the texture and colour? And btw, thanks for the info. Really appreciate it! OpenCV Error: Unspecified error (The function is not implemented. Rebuild the library with Windows, GTK+ 2.x or Carbon support. If you are on Ubuntu or Debian, install libgtk2.0-dev and pkg-config, then re-run cmake or configure script) in cvShowImage. Thank you for the tutorial, however is there any chance to convert this into Matlab code as this is very useful for my project? Sorry, I do not do any work in Matlab. But I do believe SLIC is implemented inside the VLFeat library which has MATLAB bindings. thats great .. do you have a feature extrcation using GLCM ? I don’t have any example tutorials using the GLCM on the PyImageSearch blog, but I do cover GLCM and Haralick features inside the PyImageSearch Gurus course. Thank you for the amazing post! I’m trying to draw the grayscale image of “segments” array with the corresponding label on each segment. I can get the image, but I’m not quite sure how I can enter the label on the corresponding region of this image. Any suggestion? You can draw the segment number using the cv2.putText function. A good example of how to use cv2.putText can be found here. hi..Can we recombine all individual segments as original image after segment watermark ? Hey Moni — what do you mean by “recombine all individual segments”? If your goal is to obtain the original image why apply superpixels to start? hi… Thank you for the tutorial, i read your some posts about pedestrian detection, and i am wondering whether superpixels could be used for human detection or tracking? I wouldn’t recommend superpixels for tracking. Once you detect a person via the HoG method I would apply a correlation tracker to track the person as they move around the video stream. i wanted to know if you have nay algorithm to watermark each segment individually without affecting the original image. Hi Ambika — can you clarify what you mean by “watermarking each segment individually”? What is “each segment”? I am making a project in which i need to divide my image into certain superpixels and then add an invisible watermark to each superpixel individually. For that, I may need to access each superpixel separately and then append the watermark on them. Also on the other side, i need to remove the watermark which i have applied from each superpixel and retrieve the original image. So for this, i wanted to know of you have any idea about how to separately access the superpixels and add separate watermarks to them as well as remove them. by segment i mean superpixels. i need to watermark each superpixel individually so i need to store them individually first, add invisible watermark to them and then finally joining them to get back the original image with invisible watermarks all over it. That is totally possible. Follow this tutorial on watermarking. Then, extract each superpixel (the ROI), apply the watermark, and add it back to the image. This can be accomplished using simply NumPy array slicing. If you need help getting started with learning OpenCV, be sure to take a look at Practical Python and OpenCV. Thanks Adrian! But the post that you have referred to in this comment seems to teach how to put a visible watermark on an image. Whereas, I want something to be invisible that would not show any difference between the original as well as watermarked image. I know you might think if the watermark is invisible then what is the use of it. But it the need of my image authentication part for which i need the same. It would be great if you can help! It sounds like you are referring to “image steganography”. I would suggest researching that topic further. I have started implementing the idea which you have shared with me in this comment. Currently I have divided my image into several superpixels (number of superpixels to be split is dynamically taken) and have saved each superpixel as an image. Now what I am thinking is to read these segment images one-by-one, and then to embark the watermark (visible one) on them. But as you know, the segments created are just in a small part of the whole image and the rest of the part remains black always. So I need an idea of how can I set the watermark specifically on the part where my segment is present. Please help me out with this. Is there a way to get the segment ID by a coordinate? meaning, I have a super pixels, and by clicking the wanted pixel, i want to mask the entire pixels so the wanted one will be in white and all the others in black? I would suggest creating a separate NumPy array and store the segment ID for each corresponding superpixel in the array. Basically, you are drawing the contours for each superpixel with the value of the segment ID. Then, at any point, if you want to know the superpixel ID of a given (x, y)-coordinate just pass the (x, y)-coordinate into the NumPy array. Thank you. There is a way to crop each segment in a new image? You would need to compute the bounding box for each superpixel and/or mask the ROI after extracting the bounding box. You can then save each ROI to disk via cv2.imwrite. I have a text inside a diamond shape(flowchart symbol for conditions). I have detected the diamond shape and obtain four coordinates of that. And I want to crop text area part using smaller diamond shape (lowering above coordinates accordingly).Is there a way get around that? Do you have an example image of what you’re working with? Seeing an example image would be easier to provide suggestions. I managed to do that after few efforts by creating a mask and cv2.bitwise_and. I want to create an application for users to draw a flowchart(hand-drawn) for their stored procedures and get the sql query from it. Here is one of images I am working on these days. What I wanted is to get the text part inside each shapes and feed them to a text recognition module. My next and last task is to recognize arrows. So far I put those arrow shapes in my else condition in the shape detection. I tried to create some features for the arrows using contours, but no luck so far. Is there any way to do that without using ML or DL? Detecting the actual text can be accomplished via morphological operations. Take a look at how I do it here. Basically you need to extract the ROI for the shape and then apply the morphological operations to the ROI to obtain the text ROI. The text rOI can go through Tesseract. As for detecting arrows you should be able to do that via aspect ratio, solidity, and extent contour properties. All of these are covered inside the PyImageSearch Gurus course as well (and in the context of shape recognition). Be sure to take a look! Hi Adrian, I’m trying to run your algorithm you’ll have any idea why it marks invalid syntax on line 33? Which version of Python and scikit-image are you using? I downloaded this codes and it works perfectly! Thanks! Here, could i ask for your opinion? What if i want to pass each “inspecting segment” image to Local Binary Pattern (with codes provided in one of your tutorial) and compare it with the training image accordingly. My question here is, how to pass every image to the LBP in one python script? Or do u have any suggestion? Rlly appreciate it! I would suggest looping over each of the individual superpixels, computing the bounding box (since the LBP algorithm assumes a rectangular input, unless you want to try your hand at array masking, which introduces many problems), and then passing the ROI into your LBP extractor. I see. Therefore, by computing bounding box, i don’t have to pass each inspecting segment image individually to the LBP? Am I right? Well, you are still passing each individual segment into the LBP descriptor — the difference is that you are computing the bounding box and extracting the ROI of the segment before it goes into the LBP descriptor. Thank you for a code. I’ve changed it a bit for my needs and save segments as individual PNG files, instead of showing it (cv2.imwrite). I want to change background area of segments from black to alpha, but I can’t figure out how to do it. Can you help with it? You’ll need to create an alpha channel for the image. I would use this tutorial as a starting point. Thank you for your great post. I want to use superpixel algorithm for medical Image segmentation. I need to create a graph from superpixels and label each superpixel to the region of interest or background. do you have any code for creating a graph from superpixels? Hey Tahereh — this sounds like a great application; however, I do not have any code/tutorials on constructing a graph from superpixels. The good news is that it’s not too hard. For each superpixel, compute the centroid, and then use a graph library (there are many for Python) to add the centroid to the graph. From there you’ll be able to traverse the graph. How can I compute the centroid of each superpixel? There are a few ways to do this, some more efficient but harder to implement, others very easy to implement but slower. What is your experience level with computer vision and OpenCV? You can use the same code to loop over each of the individual superpixels and then extract each of the superpixels you are interested in. I’m not sure how you are trying to define which superpixels you are specifically interested in though. region 1+ region 2, region 3 + region 4, region 5 + region 6, etc…… until end of last region. First, determine the unique number of segments and sort them. Then loop over each of the values, incrementing by two at each iteration of the loop. Thank you very much for all your brilliant help. I am so glad to have you on internet. Thank you very much. you are so genius and very kind. thanks god found and bookmarked your blog. Thank you for the kind words, Surya, I really appreciate that. Thank you for your code and it works perfectly. I would also like to know how i can detect feature points from each segment of the image block. I tried using a SIFT algorithm during accessing each segments but didnt work out . 2. Or create a binary mask for the superpixel area. Use that as the seed to GrabCut.